If you want to learn about how to actually make money writing and publishing Kindle eBooks, Tom Corson-Knowles is your guy. Tom started writing Kindle books a few years ago, and about a year after starting, he had his first $12,000+ month from Kindle royalties. After realizing what it takes to create and market a Kindle book successfully, he decided to start doing it for clients. He now has over 60 clients, and his businesses is involved with more Kindle book sales than ever before. In this interview, Tom discusses some of the most common mistakes that people make when they write a Kindle book and try to publish it themselves. He also mentions how most Kindle eBooks should be prices, and how you can go about promoting your book once it’s published. Tom, I’m really interested in learning more about your business at TCK Publishing. I like how you’ve taken your Kindle book publishing experience and turned it into a full-fledged online publishing company. Tell us a bit about yourself and your business. How did you even get involved with writing Kindle books in the first place, and what led to the creation of TCK Publishing? I started writing my first book when I was 19. I knew nothing about writing, publishing or marketing at the time. All I knew was that there was no way I was going to spend the rest of my life working 100 hours on Wall Street like a lot of my business school classmates. After getting rejected by numerous agents and publishers, I pretty much gave up my dream of becoming a published author until about three years ago when a friend mentioned I could just self-publish my books on Kindle. So I did. In my first month, I had about 14 sales. I hadn’t told a single person about my book because I was embarrassed of having to self-publish instead of getting a traditional publishing deal. But I realized immediately that if I could sell 14 books without telling anyone, I could probably sell a lot more if I actually focused on writing and marketing. Those videos eventually morphed into a full video training course for authors. There are still a ton of free videos that people can watch on how to format a book for Kindle, publish your book on Amazon, and a lot more at www.ebookpublishingschool.com. I started TCK Publishing after a few thousand students went through my video training course and dozens of them asked me to publish their books for them. A lot of authors were basically saying that they loved the video training and information but just didn’t want to spend their time on formatting, cover design, keyword research, SEO, online marketing and other technical aspects of publishing. So I decided to publish a few books for clients and see how it would go. Well, it went a lot better than I had ever anticipated! We now have over 60 clients and are growing really fast. When it comes to writing a Kindle book, which is often regarded as a relatively easy “self-publishing” platform, what are the ways that a company like yours can improve someone’s publishing success? Basically, there are three parts to the business of being an author: writing, publishing and marketing. All three parts must be working together to create success and sales. If you have a great book with horrible publishing and no marketing, your chances of becoming a bestselling author or earning a full-time income from your writing is very low. We basically give our clients a blueprint for success when it comes to writing, positioning and branding. Then we do all the publishing work for them, and a lot of the marketing as well. That way, our clients can focus on writing great books, and we can focus on publishing and marketing them online. Most clients spend about eight to sixteen hours on marketing each of their books. The rest of the time, they can focus on writing more books to earn more. One of my favorite client success stories so far is Mary Christian Payne. She wrote a novel over thirty years ago and could never get it published. We published her first novel as an eBook in January, 2014, and it become a runaway bestseller in the first month. Since then, she’s published two other eBooks to complete the trilogy, and she’s currently selling about 2,000 books a month and earning a lot more than most authors ever make. And these are just eBook sales. We haven’t even started with paperbacks or audio books yet. Literally anyone can write and publish a book for Amazon’s Kindle platform, but actually having a successful book launch is another issue. What have you found is the biggest mistake people make when they publish their own Kindle books? Not having a professional designed book cover. Not having a memorable and easily searchable book title. Not hiring a professional editor. Not formatting their book properly. Not doing keyword research and SEO. Waiting to publish until the timing is right. Not choosing the proper bestseller categories on Amazon. Not using KDP Select and best practices for book promotions, like the new Kindle Countdown Deals. Pricing ebooks at $9.99 with no traffic, no platform and no sales. Instead, I recommend pricing at $2.99 to start until your book is a bestseller. Then you can test and see if raising the price will help you earn more or not. Going along with the question above, what are some of your favorite strategies for marketing a Kindle book once it’s published? How important is pre-marketing it to an already-existing audience? I don’t believe in pre-marketing. If a book is ready to publish, you should publish it as soon as possible. It’s like real estate. Every month your real estate is empty, you’re losing money. Every month your book is finished but unpublished, you’re losing money. Publish it now and then start marketing. There are a ton of free sites where you can promote your free books and another list of sites for promoting paid books. You can get a lot of sales for free or cheaply on these sites. 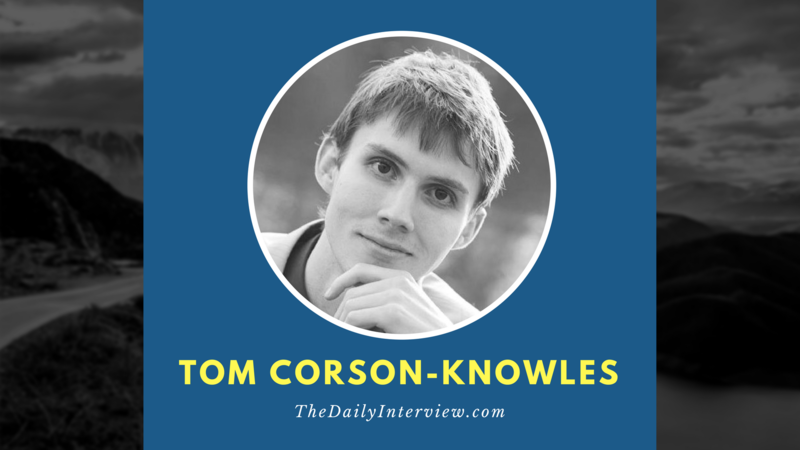 Tom Corson-Knowles is the international bestselling author of The Kindle Publishing Bible and 19 other books. Tom is also the founder of EBookPublishingSchool.com, a free video training program for authors, and TCK Publishing, an eBook Publishing Company that specializes in publishing and marketing Kindle books online. You can connect with Tom on Twitter or Facebook.